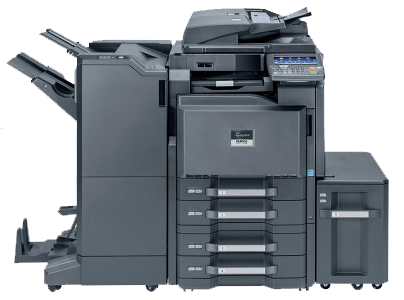 The Rental copier in karachi Ricoh 3035 is design for quick, quality printing. It is a 35 page-per-minute copier that you can customise to fit the needs of your company. So,You can change Ricoh AFICIO 3035 into a multi functional machine by adding a printer, scanner, and/or fax options. Moreover, Ricoh rated the monthly duty cycle at 80,000 impressions. The Ricoh AFICIO 3035 will effortlessly take single-sided input and transform it into the double-sided output However, beginning with two 500-sheet trays and 50-sheet bypass. The Ricoh Aficio 3035 was designed for quick, quality printing. It is a 35 page-per-minute copier that can be customized to fit the needs of your company. The Ricoh Aficio 3035 can be changed into a multi functional machine by adding a printer, scanner, and/or fax options an exceptional feature for growing businesses. Ricoh rated the monthly duty cycle at 80,000 impressions, enough to keep up with fast workflow. Standard automatic duplexing will reduce your paper consumption by up to half and condense hard copy storage. Moreover, The Ricoh Aficio 3035 will effortlessly take single-sided input and transform it into the double-sided output. Furthermore, Beginning with two 500-sheet trays and 50-sheet bypass, the paper storage is 1,050 sheets. There are optional tray additions available to reach the 3,550-sheet max. The toner cartridge (888185) for the Ricoh AFICIO 3035 has an estimated yield of 30,000 pages when averaging 6 percent page coverage Moreover, you may purchase in both the genuine Ricoh brand and Precision compatible. For fast convenient communication with colleagues, clients and customers, scan your documents to your desktop, network folder, e-mail or URL. For network-based information sharing and distribution, the TWAIN compliant Ricoh 3035 Series is ahead of the curve. • Scan-to-Folder—Ideal way to archive and share large files with multiple clients. • Support for common file formats (PDF, TIFF and JPEG) provides compatibility between varied operating systems and application software. The 466 MHz processor and 384 MB memory accelerate print performance Moreover, producing general-office documents with ease. • You are in complete control of print output with Ricoh’s innovative RPCS (Refined Printing Command Stream) Furthermore, PCL 5 e/6 and optional Adobe PostScript 3 page description languages. Leverage the power of the Ricoh 3035/3045 Series as a Document Server virtual document library for archival and print on-demand applications So, you may retrieved documents reprint, refax, rescan or download to your computer for editing. Memory on the Aficio 3035 can upgradable to 384 MB RAM to ensure seamless production of even complex projects. The toner cartridge (888185) for the Ricoh 3035 has an estimated yield of 30,000 pages. You need efficient, reliable office systems that put busy work groups in control of an ever-increasing volume of documents correspondence, Financial reports, contracts and presentations. Offering exceptional performance to meet these demands. The versatile Ricoh 3035 digital systems support advanced network printing, scanning and faxing in one compact platform. And our industry-leading security technology protects your vital business information at every stage.